​Monday, March 18, at 6:45 p.m.
​The Friends of the Library are collecting books for the Big Blooming Book Sale to be held on Saturday, May 4, at the Masonic Hall in Northwood. Mark your calendars. Books of all kinds are needed for the sale — children’s, cookbooks, fiction, nonfiction, how-to, hardcover and paperback. Cull your book collection then replenish it at the sale! Members of the Friends are storing donations in their barns, sheds, and on their back porches, since there is no room in the library for storage. If you have just a few books to donate (a box or two), drop them off at the library earmarked “Book Sale.” If you have a lot, call Sue Robertson, 942-8325, or Becky Rule, 545-4336 to make arrangements to drop books off at a Friend’s house or have them picked up at your house by one of our volunteers. If you’d like to be a volunteer, sign-up at the library! This is a major fundraiser and the Friends need lots of help. Proceeds will be used for library projects throughout the year. This year the Friends helped pay for the new walkway, museum passes, and subscriptions to research services for genealogy. We also sponsor staff appreciation days, the annual Humor & Harmony show, and the popular “Soups On with Pie” supper. Please join the Friends of the Library on Friday, November 2, from 5:00-7:00 p.m. for their Soup’s On With Pie fundraising event. Soups on the menu include: beef stew, chicken soup, chili, fish chowder, squash soup, and vegetarian chili. Pies on the menu include: apple, blueberry, chocolate, custard, lemon, and pumpkin. Soup will be served in to-go packaging so you can enjoy it in the cozy library or take it home for later. Small soup and roll: $5.00; large soup and two rolls: $10.00; slice of pie: $3.00; whole pie: $12.00. Beverages will be provided at no charge. All proceeds go to the Friends to support library services. The winners of the Democratic and Republican primaries are set to face off in the general election on November 6. They will get a chance to ask for support and participate in a question-and-answer session with voters at the Northwood Town Hall on Thursday, October 18, at 7:00 p.m. Northwood will choose state representatives in Rockingham District 1 (Northwood only) and District 32 (Candia, Deerfield, Northwood, and Nottingham.) The state senator for District 17 and the executive councilor for District 4 will also be elected. Candidates Night is sponsored by the Friends of the Northwood Libraries and the Harvey Lake Women’s Club. Saturday July 28th - ​Bean Hole Bash! Join the Friends of the Northwood Libraries at the Bean Hole Bash on Saturday, July 28, to make felted rock monsters. 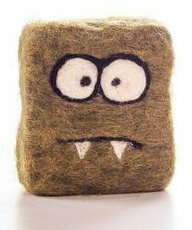 The Friends will be in the Northwood Congregational Church’s Fellowship Hall from 9:00 am until 1:00 pm so join them to make your own felted rock monster. ​Cute monsters, scary monsters…the possibilities are endless! The Friends of the Northwood Libraries will meet at the library on Monday, August 27, at 6:45 pm. Rebecca Rule, Joel Sherburne and Cordwood kept the audience on their toes. Rebecca led off with her yankee yarrns and Joel added spice to her repertoire with stories about beans, cuttin cheese and ladies hats from Calef's Country Store days. Cordwood's notes were clrear, clean and crisp. They strummed, picked and plucked their guitars, banjos and washboard to some really fun bluegrass. The crowd loved it all clapping so loudly that the noise resounded off the old masonic halls walls. Great sound filled the room for over 2 hours. It was a night to remember. The Chesley Memorial Library and the Friends of the Northwood Libraries sponsored "Humor & Harmony” at the Masonic Hall on Route 4 in Northwood on Saturday, May 19, from 7:00-9:00 p.m.
​Rebecca Rule is a humorist/writer who specializes in funny stories about New Hampshire. Rebecca Rule gathers and tells stories and she'll be telling some of her funniest ones for Humor and Harmony. Her latest book is Sixty years of cuttin' the cheese : Joel Sherburne and Calef's famous country store. Other books include: N is for NH, an ABC book for children and adults with photographs by Scott Snyder; The Iciest, Diciest, Scariest Sled Ride Ever, illustrated by Jennifer Thermes; Moved and Seconded: NH Town Meeting; and Could Have Been Worse: True Stories, Embellishments, and Outright Lies. She hosts Our Hometown on NHPTV. Cordwood is a bluegrass and folk quartet made up of instrumental, vocal, and recording artists from Northwood, Durham, and Deerfield. This is not your local neighborhood hobby band. They are a fine group of seasoned New England musicians. Each can hold his or her own at field picking or a back stage jam, and yet, as a band, they present a highly polished on-stage performance. All four members of Cordwood are storytellers and songwriters, creating original material for instrumentalists who can sing and harmonize, sometimes taking the lead vocal, other times hanging back and lending two, three, or even four part harmonies to a song. Cordwood provides a unique sound to both originals and the covers they perform. Their tunes remain heartfelt and down-home. The band’s material is a mixture of traditional bluegrass, folk, and swing. Cordwood is Wini Scovill Young on banjo and guitar, Walt Kutylowski on bass, Al Pratt on guitar, and Bob Young on mandolin, names you may remember from Big Chicken, The Deerfield Coffeehouse Band, and Fat Hands. Third Annual Soup's On - Saturday, November 4th from 4 to 6 pm. The Friends of the Chesley Memorial Library hosted a heart warming, stomach filling and very tasty meal on Saturday, November 4th.There was a delicious selection of homemade soups, breads, desserts, beverages and some musical accompaniment provided by fiddler Steve Schulz. ​All proceeds will benefit the Chesley Memorial Library. The Friends of the Library were at the Bean Hole Bash. made us an offer. There will be no price tags, every sale was a donation. Enjoying the children's activies at the Bean Hole Bash. Sponsored by the Friends of the Library and led by Robbie Robertson the kids pounded nails and built with Magformers. Enjoying shopping at the Friends of the Library annual book sale. $300 was realized and will go toward library activities and improvements. The Friends of the Library are a group of citizens who have joined together to support, improve, and promote the library of Northwood. They understand the importance of library service to the community and work in many ways to help provide quality service and stimulate library use. The Friends provide materials (such as bookshelves), services (like the volunteer appreciation day), and special programs (like Humor and Harmony) that supplement the library's budget. Why should you join the friends? By joining, you show the community that you feel that the library is an important institution in the Northwood community. By joining the Friends of the Library you can help provide direct support for the library by participating in fund raising activities. The Friends of the Northwood Libraries also sells copies of A Guide to the History and Old Dwelling Places of Northwood, New Hampshire, by town historian Joann Weeks Bailey. Copies sell for $25.00 each, with all proceeds benefiting the Friends and the library. To purchase a copy of the book by mail please send a check or money order for $32.20 (book price + shipping) to the Chesley Memorial Library attention Friends. For more information on purchasing a copy by mail please call Donna Bunker at 942-5472. The Friends of the Northwood Libraries meet periodically at the Chesley Memorial Library throughout the year. For more information, call the Chesley Memorial Library at 942-5472, or check out our calendar page.